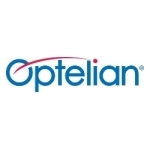 OTTAWA, Ontario & ROSWELL, Ga.–(BUSINESS WIRE)–lt;a href=”https://twitter.com/hashtag/100G?src=hash” target=”_blank”gt;#100Glt;/agt;–Optical networking solution provider Optelian today announced its MPX-9103 100Gbps hardened service aggregation muxponder has achieved full NEBS Level 3 and GR-3108 certification. The MPX-9103 is purpose-built for deployment in outside cabinets that are not thermally controlled. Applications for the MPX-9103 include 4G and 5G wireless upgrades for cell sites for fronthaul and backhaul coupled with next generation fiber deep architectures. It extends Metro rings and pushes more bandwidth closer to the edge and is an ideal solution for high-bandwidth remote business service access and fiber deep cabinets. In addition, the MPX-9103 gives service providers more flexibility with remote 100Gbps capacity expansion without the expense of fiber infrastructure. The MPX-9103 dovetails with Optelian’s existing suite of hardened products for a whole system OSP solution. Optelian’s MPX-9103 is OTN-based with multi-protocol client interfaces. As a service aggregation muxponder, the MPX-9103 aggregates up to ten 10Gbps client-side circuits onto a 100Gbps line interface. The unit is housed in a 1RU small footprint chassis that is energy efficient for outside plant cabinets. Enhanced ruggedization and extensive thermal management capability means installations can use commercial temperature optical modules, including CFP-DCO (tuneable) line-side optical modules even under extreme conditions. NEBS Level 3 certification is a compliance standard that addresses safety, durability and operability for carrier class equipment. The standards are very stringent to ensure NEBS-compliant systems will operate properly for communications service providers. GR-3108 is a hardened requirement for protected, uncontrolled environments (protected from rain and sun but not temperature controlled) over a wide temperature range from -40°C to +65°C. It also certifies resistance against corrosive gas or salt-fog exposure in coastal regions. The MPX-9103 is currently available to all customers.